A romantic tale about a love triangle between a fierce young woman Twinkle, a possessive guy named Yuvraj and of course a wealthy man named Kunj. Twinkle is madly in love with Yuvraj, unfortunately their mothers share a bitter history that gets in the way of their love. The two love birds device a plan to stay together. Conflicts between the two families wears heavy on them, until Kunj shows up of course. Pallavi murder case will be solved with her husband and the maid getting arrested. Not just that, the climax scene will also be quite dramatic with Twinkle getting kidnapped yet again. The protagonist will go missing from her wedding, which will create turmoil among the family members. 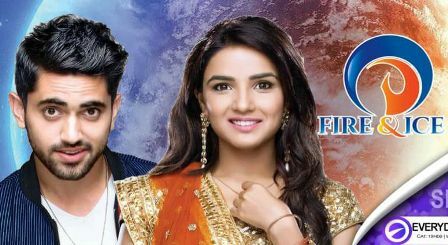 However, Simple (Neha) with the help of Kunj and Yuvi , will trace down the kidnappers and rescue Twinkle. Also, Simple’s family will learn about her and Yuvi’s fake marriage, but the duo will eventually confess their love for each other and tie the knot and the show will have a happy ending. 0 Response to "Zee World: Fire and Ice Full Story"